Haha my dog does that! 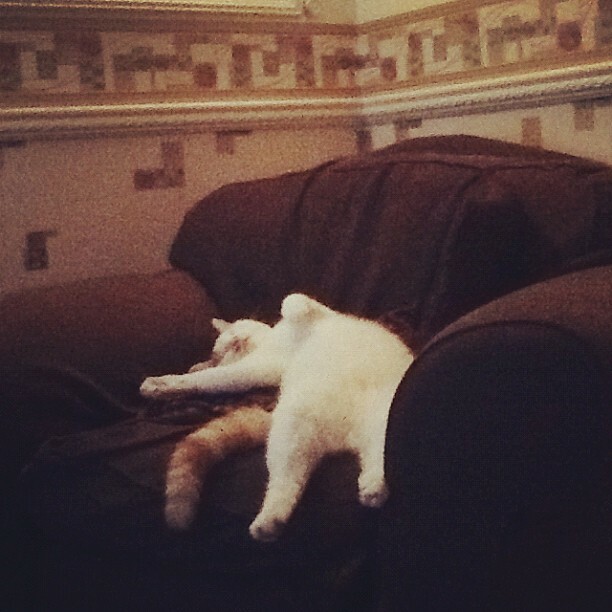 I didn't realise cats like that position too, it looks so uncomfortable. My cat does the same :D I love cats!